Microsoft Bing, the search engine is expected to provide the public with information from Facebook on their public searches. Bing is expected to display user content from Facebook which can potentially make them a direct competitor to industry search leader Google. Microsoft will be releasing an updated version of their Bing search engine which is designed to make Facebook play a much bigger and significant role in their organic web search results. These Bing search results will begin recognizing new user paradigms similar to the growth of the social graph. What this will do is empower individuals who currently may be searching for better knowledge of information on the web, and then combine it with the help of their Facebook friends. This connection which has been forged between Facebook and Microsoft should help Bing provide better more relevant social based search results which would appeal to more consumers, particularly those who are active users of Facebook. This should also simultaneously support additional revenue-generated ad clicks as well. Bing may eventually be able to attract the bulk of the users on Facebook who may eventually prefer to use Bing search results over Google, at least that’s what they’re hoping, which would be an immense achievement. This new and improved Bing is expected to show the once private Facebook user information by displaying the content of the social network using an icon which signifies that it’s from Facebook, which will be featured in a separate “social sidebar,” that will be located on the right side of Bing’s search results. So without having to leave the search page, user will be able to directly click on the Facebook icon and then connect directly to Facebook. This will also make any content which is pertinent from their own personal Facebook page appear on the sidebar as well. For instance, if you do a search on Bing for the “Regal Hotel New York,” what will be displayed in the Facebook sidebar would be information such as the names of your Facebook friends who happen to live in New York, and may be able to help you. What would also be included would be any recent Facebook posts which are related to New York by your Facebook friends. This new and improved Bing is also expected to feature a “snapshot” section which will provide a summary of interactive as well as specific content which is directly related to the search query keyword. So for the “Regal Hotel New York” search, the snapshot could include everything that the searcher needs to know about the hotel without needing to leave the actual search results page. That could include information such as the hotel’s room rates, or an interactive online check-in and check-out window for entering reservation dates, or a map which shows the hotel’s location. What’s also included would be reviews and ratings or photos of the hotel, etc. This snapshot section would also display paid search ads which are related to the search term, and will appear directly in the center of the search results page between the organic search results and the Facebook sidebar. The reason why Microsoft is able and wanting to do this is because they own a small financial stake in Facebook. They also claim that the new and improved Bing will eventually support quicker searches, which is the result of numerous tweaks by Microsoft’s algorithm engineers. 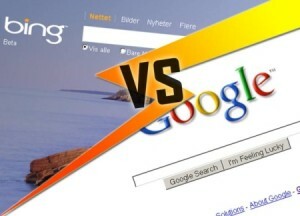 The majority of experts agree that the most important facet of this Bing update will be it’s connection with Facebook, which appears to somewhat match what Google has recently done with Google+ Local. Google has recently added a search feature which enables a user to be able to have their search results altered with data directly from Google+. So Google is going down the same path as well, but the information is derived strictly from Google+ Plus rather than any other prominent social network, such as Facebook. Google and their Google+ social network effort is not as popular as what Facebook currently is. For instance, users on average will spent up to 7 hours on Facebook per month, compared to just over 1 hour on Google+, this according to various web metric measurement firms. So the real question remains whether the additional Facebook content will actually help Bing in gaining more search engine market share. Google currently commands just over 65% percent of the Internet search market, compared to just 15% percent for Bing, and 14% percent for Yahoo. Bing also currently provides the bulk of the search results for Yahoo sites, so in effect, Bing accounts for approximately a 30% percent market share. Google, however, in it’s attempts to display social content derived from Google+, with its recently introduced Google+ Local, is a mixture of social content, reviews, and Google Places along with their general search results. Bing on the other hand, when placing Facebook content on their results is a lot more noticeable, with a distinct designated section which may ultimately increase the time spent on page views, ad views, and potentially more clicks. Although there may not be an immediate impact or an increase for advertisers, it may ultimately in the long run, make Bing a more concise search engine, until of course Google responds back.